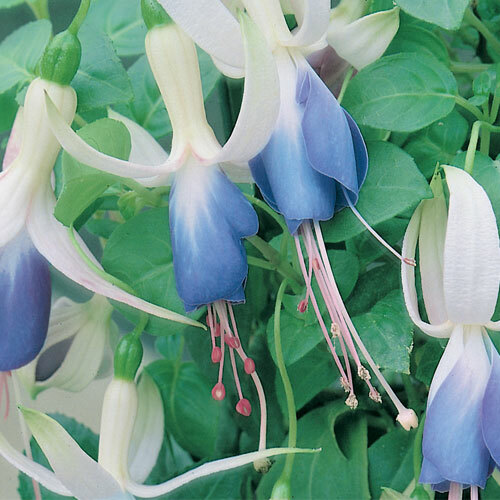 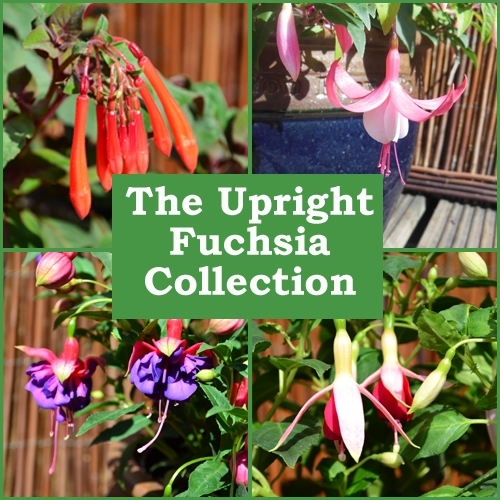 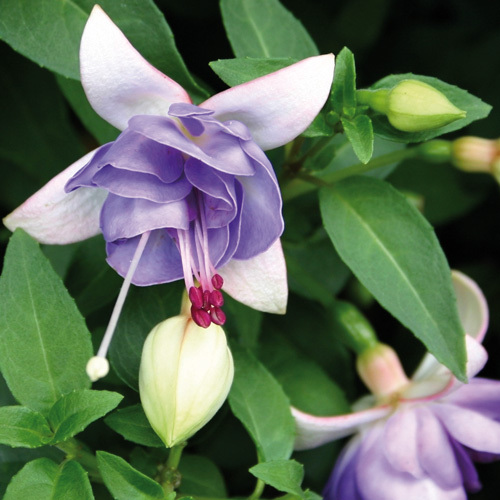 Carmel blue is a relatively new variety of upright Fuchsia, which has proved to be very popular with our customers. 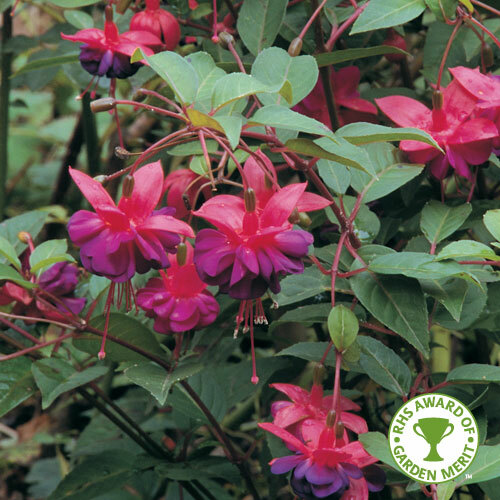 It is ideal planted in patio containers or in garden borders. 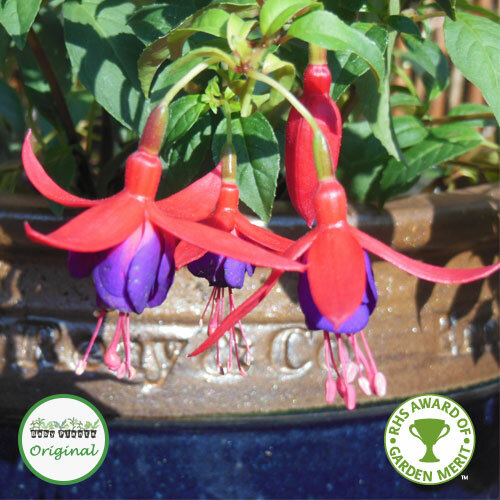 It also makes a lovely centrepiece in mixed hanging baskets.